Setting out on your own is a huge risk. Are you ready? Have you the support in place, both financially and emotionally, to become self-employed? And have you considered the practicalities involved? These podcasts help you answer all these questions and more, and provide an essential guide to anyone considering becoming their own boss. This podcast explores your motivation, skills and opportunity to pursue a route of self-employment. In this podcast the practicalities and risks of self-employment are examined. From practical considerations, such as writing a business plan, to the realities of home working. Also, the importance of minimising risks by effective, realistic planning, and dealing with problems calmly and objectively. Whether it’s a lifestyle choice, a new challenge, a way to generate a second income, or the next stage of your career, self-employment presents both opportunities and risks. This first podcast from Prospect on self-employment, will help you to consider your skills through self-reflection and consider what type of business is for you. 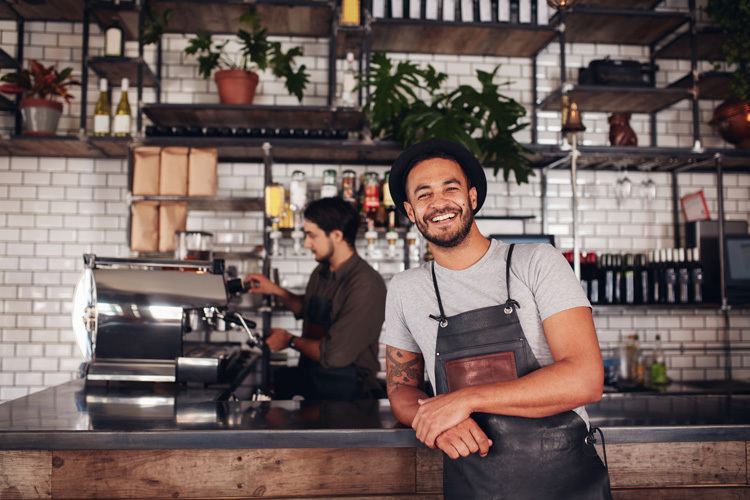 In today’s tough economic climate, more people are considering self-employment, however there is a high level of commitment involved in starting a business so you need to take a good hard look at yourself to see if you are ready for this challenge. Auditing your skills and personality and building a support team of family, friends and advisers is as important as your idea and motivation. Are you willing to take risks and accept uncertainty? Are you good at networking and building relationships? Do you have self-discipline and a commitment to hard work? Do you passion, energy and creativity? You will also need to consider which skills, experience and qualifications you currently have versus what you need to successfully run your business. There will usually be some gaps and after identification these may be filled by training (both formally & informally); volunteering in your target area of business can be a good way of acquiring new skills and knowledge and meeting potential contacts and clients. The website www.do-it.org.uk contains a wealth of volunteering opportunities in your area. If you struggle to identify your strengths, weaknesses and values, the website http://www.windmillsonline.co.uk/ is a good place to begin your process of self-reflection. This is the second podcast from Prospect looking at self employment which examines practicalities and risks. So you’ve thought about whether you have what it takes to be your own boss, but you need to consider the practicalities that go with this. For example, what are the financial implications, how will this affect your family, logistics of home working or from a business premises, implications of the loss of pension, health insurance, unpaid holidays and sick leave. At this stage the task can become daunting, so it is important to take small logical steps through the thought process. Of course you don’t have to make the move to self-employment entirely, many individuals do this gradually via portfolio working which means they have part time paid employment (which helps to pay the bills) whilst they build up their business and their turnover. The key to minimising the risk is effective, realistic planning and dealing with problems calmly and objectively…! However with careful planning and risk management, many people go on to run successful fulfilling businesses which do have a positive impact on their work/life balance. To help you further with your decision you may wish to view Prospect’s short screencast which introduces some of the key websites used on the self-employment journey, to download this visit the Prospect website.